Way back when President Obama started his first term in office health care was a major issue. A solid majority wanted drastic changes to our health care system, and many advocated for a single payer system. That was immediately dismissed by his administration, single payer was "off the table." Beware attractive titles like Affordable Care Act, they're like neighborhoods named Whispering Pines, sign posts describing exactly what was destroyed to make the resulting mess possible. 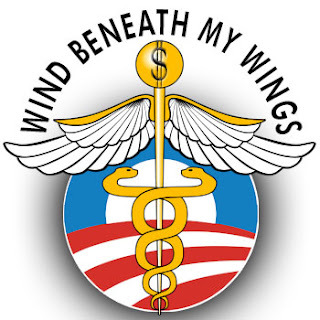 The Obama administration blew a lot of hot air at the American people, wind that kept the crooks in the insurance business in business. Propaganda ads, the talking heads of corporate media, and government shills convinced a gullible public that they didn't want universal health care. Our corrupt government tweaked a corrupt system instead of changing it to better serve all citizens. And they put on a show to obscure what was being done to us. The insurance industry spent hundreds of millions of dollars to prevent single payer. They did not do this because they were concerned about the level and cost of care provided to us. They did it because they can afford to spend hundreds of millions in order to keep the billions rolling in. They have a license to steal. Insurance companies pose the greatest risk to the health of our nation, the cure is nationalized medicine. What became "Obamacare" was not socialized medicine, it was a handout to the already corrupt and dysfunctional health insurance industry. Let's hope the efforts in Colorado (see previous ColoradoCare post) succeed and set an example for the nation. The time to create a national health care system is now.